Indie-rock quartet the cut*off has a new sound and a new album but the same vibe. Most rock bands start out sounding like their forebears. And for every 200 bands that never find their own styles, there’s one that goes on to create something that feels completely familiar yet still totally new. The cut*off started out playing noisy garage rock a la The Pixies and Toadies and won over a fair amount of listeners along the way. 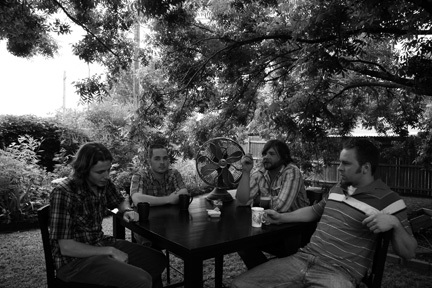 But after several years together and one CD, The Rorschach EP (Summerbreak Records, 2006), something started to change. The need for more substance, more dynamism, hell, just plain more melody began to creep in. So begins the story of Packaged up for Beginners, the cut*off’s groundbreaking new record. 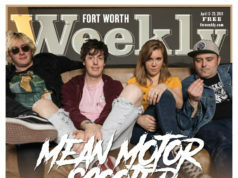 “We all loved more music than just the stuff we were likened to, especially melodic greats like The Beatles and Neil Young,” said guitarist Jayson Hamilton, who attributes his band’s growth to experience, improvements by frontman and primary songwriter Kyle Barnhill, “and, of course, meeting Salim.” The “Salim” he’s referring to is Dallas-based singer/songwriter and producer Salim Nourallah. After playing a few Dallas-area shows in support of Nourallah and listening to his solo records, the cut*off and its label (Dallas-based Summerbreak, which signed the band in 2005) both felt like Nourallah’s studio, Pleasantry Lane, might be the right place for the band’s first full length. The cut*off and Nourallah had already become fast friends and Nourallah’s resumé was impressive. In addition to the cut*off, he’s done work for the Damnwells, the Deathray Davies, and both the Old 97’s and their frontman, Rhett Miller. “I just basically joined the band,” said Nourallah, who added mostly multi-instrumental flourishes. “I felt like a fifth Beatle, and I don’t usually ever feel that way with bands I record. But this was different.” Recording began over the course of a single icy-cold weekend in January of ’07. The cut*off boys, though, left Nourallah’s place a little unsure of what had transpired. With a newfound admiration for Nourallah’s talent, the band pledged not only its desire to allow him to helm the new record but also its wish to forge something dramatically different from anything the cut*off had done before. The newly formed partnership labored over the album piece by piece throughout 2007, taking only one short hiatus, in the early fall, for Nourallah to produce the Old 97’s new album. With Nourallah’s help, the cut*off crafted more than 20 songs, all combining the band’s indie-raw grit with gorgeous ’60s-pop arrangements. Even after months of listening to Packaged up for Beginners, it’s still hard to believe it comes from the same band that released Rorschach, an unapologetic rocker. Beginners is 11 tracks of pop-rock bliss and could be one of the best releases in Fort Worth-Dallas in a long time. Initial reaction has been good, based on album sales, a few glowing reviews in local and national media, and a somewhat lucrative East Coast tour that just wrapped up. 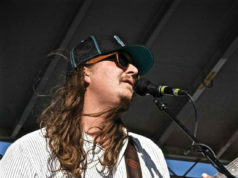 The band also was among a handful of 817 artists to play SXSW this past spring. The Moon Bar, 2911 W Berry St, FW. 817-926-9600.